Bella Terra is located a few miles west of Downtown Eagle, Idaho. Offering a tranquil setting with stunning views of the Boise Foothills and the rest of the Treasure Valley. This luxury subdivision with upscale homes includes 99 homesites for perfectly designed custom and semi-custom homes. Along with five of the valley’s best schools, you are close to life in downtown Eagle. This community is surrounded by water, stocked ponds and walking paths. Beyond the neighborhoods grand entrance, you will find the beautiful clubhouse of Bella Terra. This central gathering point offers the perfect amenities for the whole family. Learn more about Bella Terra real estate below. 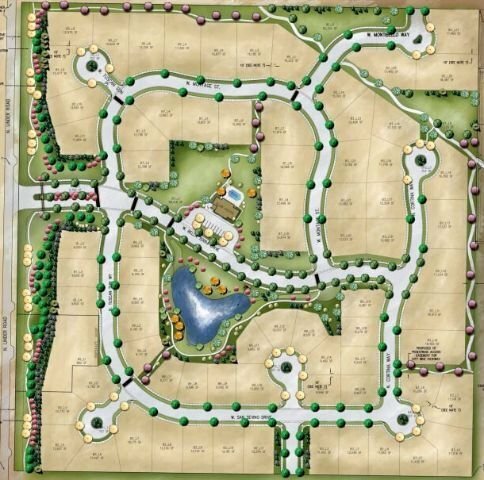 Browse all new subdivisions in Eagle, Idaho. Homesites: Building lots range in size from 0.20 acres (8,712 sq ft) to 0.43 acres (18,731 sq ft). The Bella Terra Subdivision is located on the East side of Linder Road between Beacon Light Road and Floating Feather Road. Looking for the right neighborhood to call home? We can help, contact us online or call (208) 391-4466 and see for yourself what hundreds of happy Eagle real estate owners already know.